Justin Horler of JBH Building is also an advocate of the benefits and advantages of building with Insulated Concrete Forms (ICF). So when he and his wife, Sally, decided to build a new home for themselves in the Wairoa valley, the decision to use ICF was a key priority in the design. Creative Space has developed Justin and Sally’s ideas for their new home and the result is a modern pavilion style house. Read more details of this great design here. Working with Preview Building Surveyors and Hawes Building Solutions, we were pleased to be involved with remediating Tauranga's Red Cross building originally built in 1998. The existing monolithic direct fixed cladding had resulted in failures of the external building envelope. This project was completed quickly and efficiently so the Red Cross could continue providing the service they do. 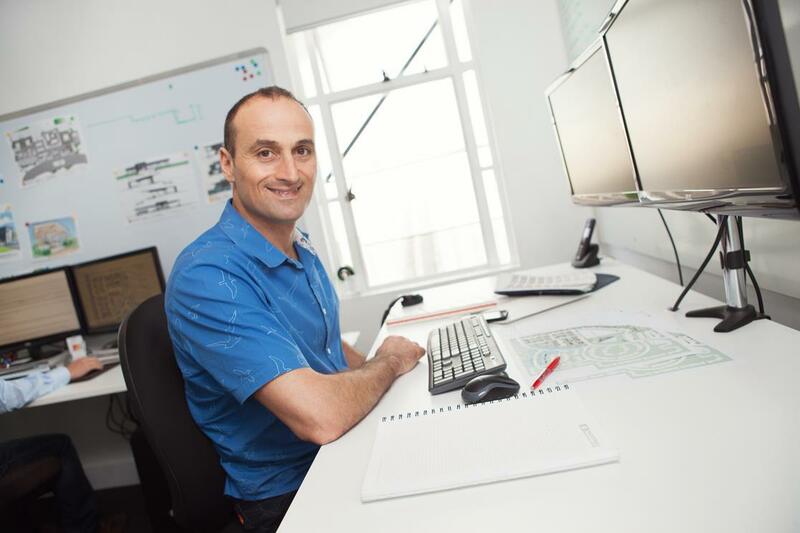 Terry Koumakis is one of our Senior Consultants, responsible for overseeing projects from an architectural point of view. This involves pre-empting issues and ensuring everything is running smoothly on site but also getting involved with and delving into the detail. "I’m driven by the challenge that attention to detail defines the final outcome, preventing the unforeseeable and inevitable as well as working with a variety of projects shaped with our clients varying “needs-based” requirements," explains Terry. "Not only is it important that we take on board what our clients want but we need to decipher intangible requirements and add something that they will then benefit from – getting that expert consultation." Currently Terry is involved with the Metlifecare project including reviewing the detailed designs and overseeing the timely production of building consent plans and Council approvals. He is also talking regularly with contractors on site and making sure they understand the plans they’ve been given, ensuring all the necessary detail is implemented.